Originally, the plan was to incorporate footage taken from fans entering the stadium, but that proved to be too complicated. Hyundai’s plans for its Super Bowl LII ad, “Hope Detector,” went through two changes before the Big Game. The ad, which was created by Hyundai and agency Innocean, features footage of visitors to Hyundai’s NFL Super Bowl Experience driven by Genesis setting off a “hope detector” and being taken aside to a private screening of the brand’s Super Bowl ad, followed by a surprise meeting with pediatric cancer survivors. “Hope Detector” promotes the Hyundai Hope On Wheels pediatric cancer nonprofit. Originally, the plan was for Hyundai and Innocean to also incorporate footage taken from fans entering the stadium Sunday and going through a similar experience. 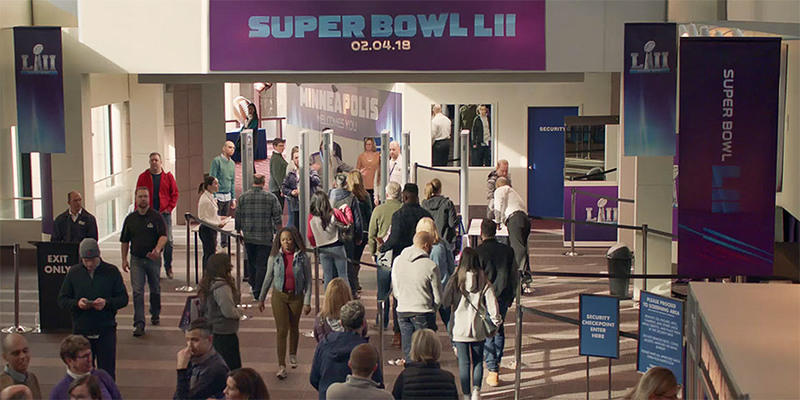 The logistics of clearing such a plan with the NFL and U.S. Bank Stadium security proved difficult, however, so last week Hyundai altered its plans, intending instead to incorporate five to eight seconds of footage shot on game day of fans arriving at the stadium to establish the setting. Last Thursday, after deciding it was satisfied with existing footage, Hyundai decided to scrap those plans as well, instead moving ahead to edit its spot ahead of the Big Game. The logistical challenges don’t mean Hyundai has ruled out live game-day footage in future efforts. While last year’s concept hinged on the usage of such footage, Innocean and Hyundai found that “Hope Detector” worked just as well without it.